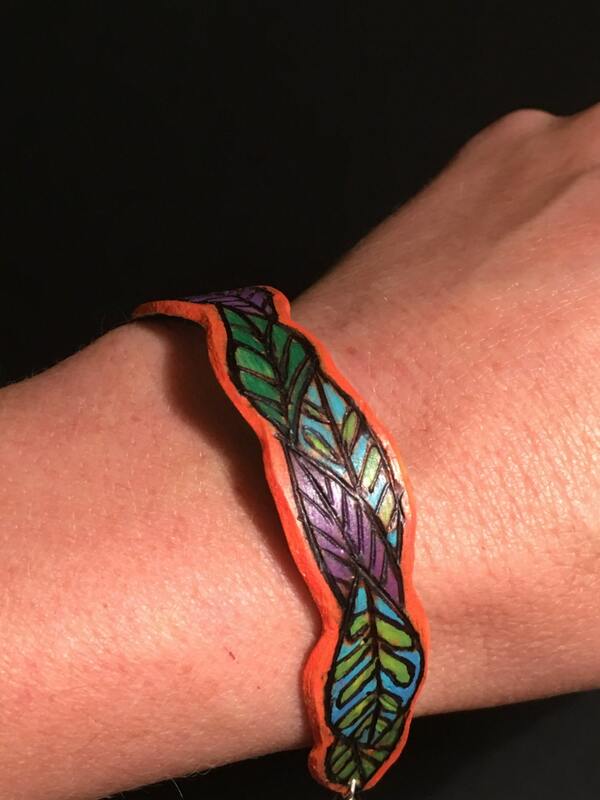 This lovely wooden bracelet was hand formed then woodburned and painted with a unique design featuring a parade of green, blue, and purple leaves with a vibrant orange background. This piece adjusts from approximately 7-7 1/2 inches with a sterling silver lobster claw clasp, chain and Czech glass beads. 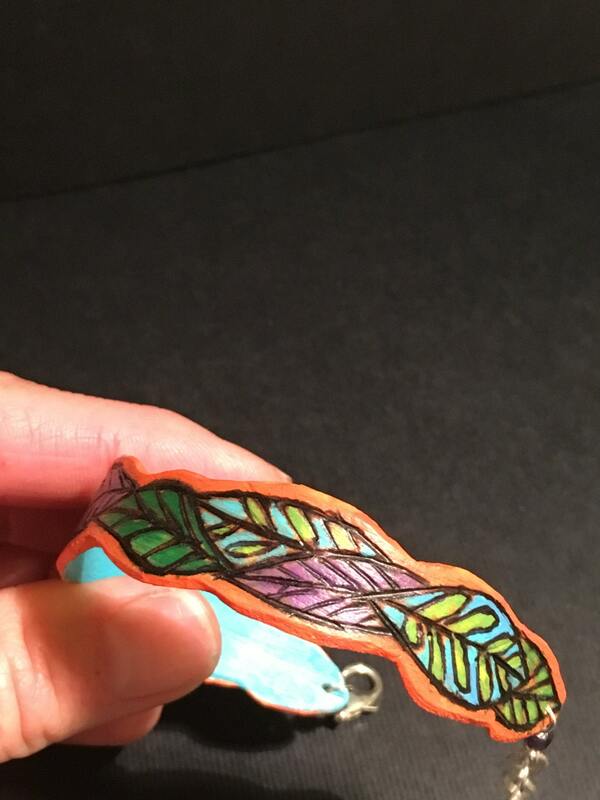 This bracelet comes with a handwritten description card and a box. Policies Payment Payment may be made through PayPal with your PayPal account or credit card even if you don't have a PayPal account. Payment must be received within two days of placing the order. If I have not received payment within 2 days, the item will be relisted. I will ship your item after I receive your payment. Thanks for your understanding. Policies Shipping I usually ship standard USPS and insure items. If you have special requests for shipping (i.e. faster shipment) please contact me and I will arrange for proper shipping and charges. Please be sure that your Etsy address and your PayPal address are the same to avoid processing delays. Please allow approximately 6-8 weeks for special orders. Great art takes time! I appreciate your understanding. Also, please contact me for shipment outside the U.S.
Policies Refunds It is important to me that you love your special jewelry or art. If for some reason you are not happy with your purchase, please contact me within 2 days of the delivery and we will try to remedy the situation. All custom orders are, however, NON-refundable. Additional Info Custom orders are available. No consignment or wholesale orders. Please contact me if you have any questions at all. 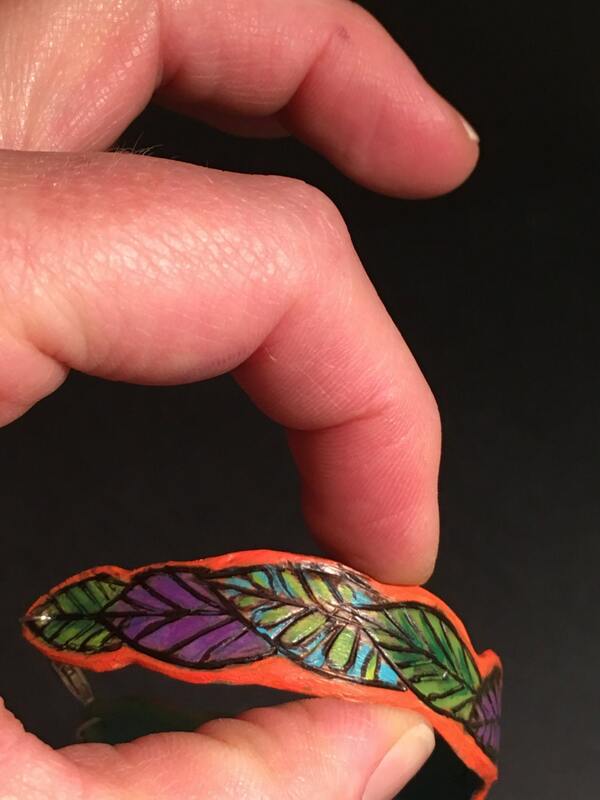 Some of my art and jewelry is for children. Non of it is recommended for children under the age of 3 because of choking hazards. Most things are delicate keepsakes so please keep that in mind when ordering. Please do not replicate any of my art. A sale does not transfer you the right to replicate my art. 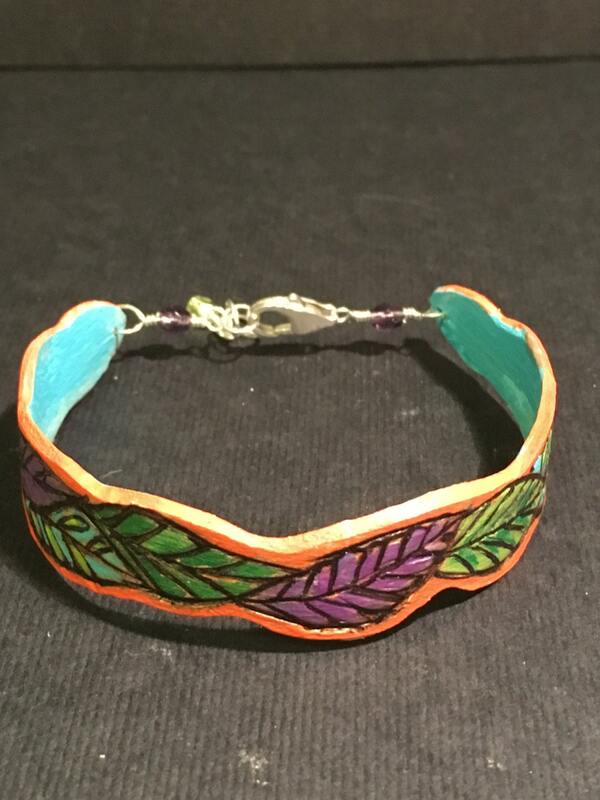 Made with sterling silver, meaningful, healing semi-precious stones, glass beads, hand cut/wood burned/painted pieces, hand drawn “illustrated jewelry”, and various pieces made from wood found in Prescott, AZ! 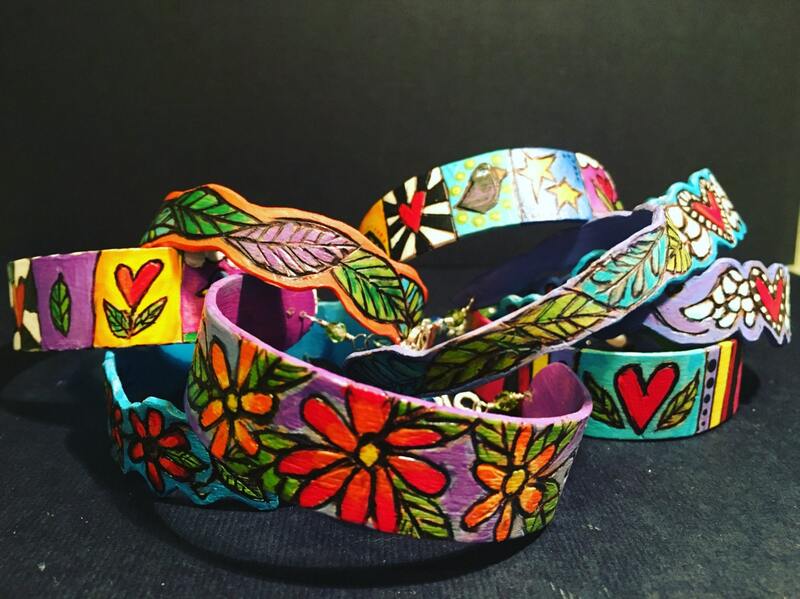 © 2000 - 2018 | Jenny T. Designs —Prescott, Arizona Artist Features Handmade Jewelry and Art from the Heart!! Host a Wine and Paint Night with your friends!